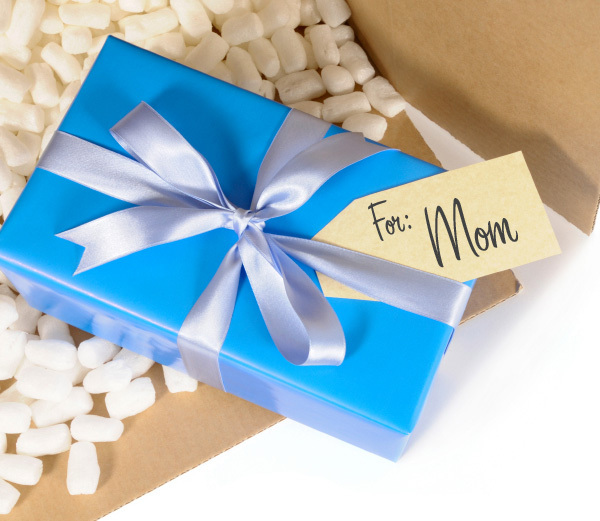 Send mom a fabulous Mother’s Day gift this year — and best of all — have her gift delivered right to her doorstep! This year, if you can’t be with the woman who raised you on Mom’s Day, make up for it by sending something that shows how special she is. If you haven’t seen mom or grandmother in awhile, send her an extra-special personalized gift. Accessories from Brighton, like handbags and sunglasses, come with their own engraved notes or treasured photos. Or, send mom a traditional favorite — a Pandora bracelet. Designed specifically for the recipient, Pandora bracelets can be made with individual birthstones representing each child or grandchild — a perfect way to show mom how much she means to the entire family! New moms can be overwhelmed, stressed out and not always able to find time alone. What she needs this Mother’s Day is some pampering. Send a goodie box filled with a gift certificate for a relaxing massage, a fluffy comfy robe, furry slippers, bath oils, aromatherapy candles and heating wraps. It’ll be much appreciated by any mom-to-be. Every mom roughs it through a busy and hectic schedule. But how do you reward the working mom? Give her the gift of organization. Daily planners, stylish and functional work bags, laptop bags and business card holders will help the mom on the go to keep track of with her kids and her career. Cute and fun reusable shopping bags accompanied by gift certificates to an organic food market or other eco-friendly store can be both fun and practical. Make the gift extra-special and stuff the bag with fun green items, like eco-friendly garments, home and decor products, and even cosmetics! Even the most stylish of moms run out of time when it comes to keeping up with the latest fashion trends. Get the fashionista mom out of those sweat pants and send her a stylish top, a kickin’ pair of boots or the latest trendy handbag. Send a gift certificate to her favorite clothing store for an extra-special touch. You know these moms — they know everything about their favorite celebrities, rarely miss the latest blockbusters, and have nearly every DVD or CD you can think of. Send this mom an iPod with downloads of all her favorite songs, television shows, and movies along with a gift certificate for iTunes. Or, send a stockpile of CDs and DVDs you know she’ll like, or use your imagination and send some you think she might not have heard of, but think she’d appreciate! Once you find a gift that’s safe and easy to pack up and send, you’re only limited by your imagination — so get a box, fill it up with special goodies — and ship it out!